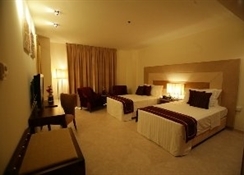 The hotel is located on the renowned Bur Dubai Al Kuwait Street- 1 km away from the Burjuman Centre. Complementing the imposing facade of the exteriors are the equally inviting interiors. This hotel is a perfect combination of uncompromising hospitality and amenities including comprehensive business facilities to cater to the needs of a discerning business clientele- including a full business centre and conference facilities. There are 173 rooms in total at this aparthotel. 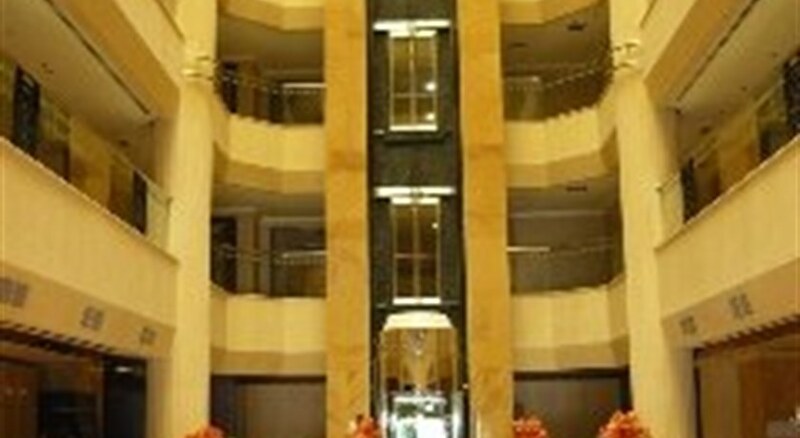 Guests are welcomed in the lobby with 24-hour reception and check-out services- a hotel safe and a currency exchange. Facilities include a restaurant- room and laundry services- and a car park. All rooms are en suite with a shower- bath and a hairdryer. In-room amenities include a double or king-size bed- satellite/cable TV and a safe. Additional amenities include a washing machine- ironing set and a balcony. 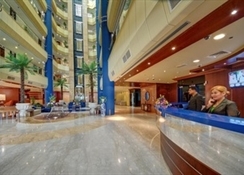 The hotel provides all the necessary amenities for both for leisure and business travellers. Comprehensive business facilities cater to the needs of discerning business guests which includes a business centre. Other amenities include fitness centre, swimming pool, conceirge, babysitting and non-smoking rooms. The all day dining restaurant, lobby lounge offers extensive food and beverage menu with a variety of express breakfast options. 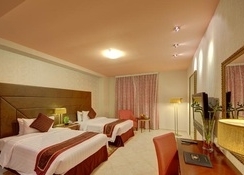 The apartment rooms are spacious and are tastefully furnished. 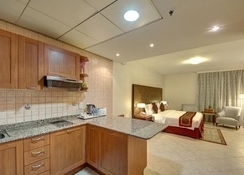 Guests can opt to stay in executive studio and one bedroom apartment. These studios and apartments are well equipped with air conditioning, colour television, internet access, table lamp, tea/coffee maker, in-room safe and telephone. 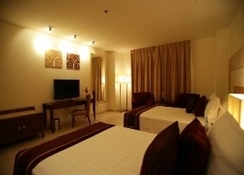 Hotel Belvedere Court Deluxe Apartments is located at Bur Dubai. Guests can visit nearby places for sightseeing, including the Dubai City Church (Approx. 7km) and Dubai Mall (Approx. 7km) from the hotel. The world famous Dubai Mall is a massive and contemporary mall providing a unique shopping experience and other activities under one roof. Other places of interest in the city are Dubai Fountain, Burj Khalifa and the Dubai Palm Islands.